Not a lady wishing to be upstaged by her husband’s super-talent, Chrissy wore a dress with a slit that went beyond the navel, very brave! Well, later that day Mrs Legend happened to be caught in a breeze and just in case anyone did not catch that she was ‘sans underwear,’ Chrissy posted the incident on Instagram. The dress was not designed to provide a complete cover up and should be worn by a confident lady who is brave enough to navigate any wardrobe malfunctions. The designer of the dress advises, ‘Wear the dress and make it part of you, and definitely don’t worry about what other people think. Confidence is key.’ And confident she was as Mrs Legend wore it with no fear together with the obligatory sense of humour. What do the cards say today for the headline grabbing twosome? Chrissy and John drew the King of Pentacles the Death card, the Three of Wands. The King of Pentacles is very much the Legend himself. John is the talented musical superstar who allows his wife to shine. This card represents hard work and material success and a wish to provide for his family. 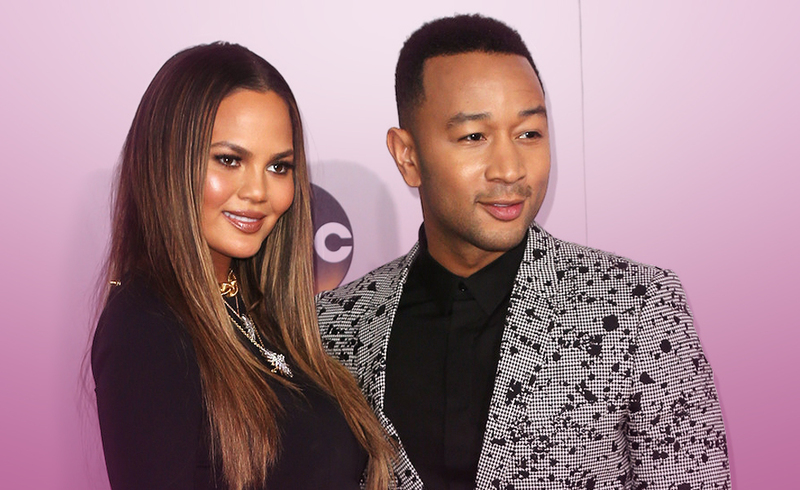 Although Chrissy has success in her own right, the support of her husband allows her to take risks, albeit calculated. The Death Card reveals profound change. As we always say, this card does not fortell death and should not be feared. With this card, the superficial is removed in order to make room for greater rewards. The Three of Wands is the card of the soul mate connection. The connection between John and Chrissy is rock solid and they are truly a power couple. Is there a desire to expand their family? There is a fun energy with this couple but they take their relationship very seriously. Collectively the cards indicate change, positive growth and sowing the seeds building on what they have already. Do we hear the patter of a new set of tiny feet?